As you read this, you are probably sitting on a chair. Indeed, a large portion of our time is spent sitting on chairs. 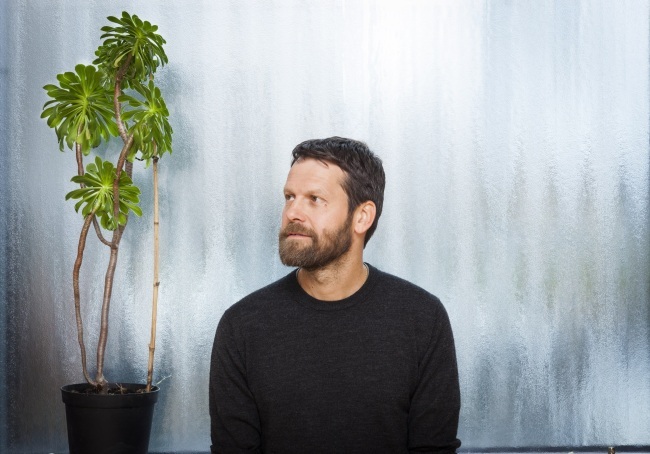 Italian artist and furniture maker Martino Gamper has examined what chairs mean to us and he will share his insights as a speaker at the Herald Design Forum 2018 on Friday. Gamper’s works are highlighted by deconstruction and reconfiguration. He became widely recognized through his “100 Chairs in 100 Days” project. Collecting discarded chairs from friends and the streets of London, he spent 100 days recreating 100 chairs. For instance, he cut a chair in half and reconnected the pieces into a complex shape, challenging the norms of furniture design. His works were exhibited at the London Design Museum in 2007 and the exhibition has since been traveling around the globe. 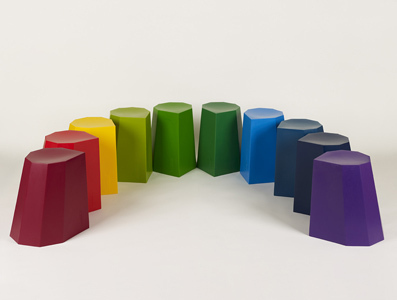 Signature works by Gamper include the colorful stools for Arnold Circus, social housing in London. The functional seats are decorative, colored in 13 shades of rainbow. The 47-year-old designer began his career working as an apprentice furniture maker in Merano, Italy, where he learned to appreciate the value of artisanship and craftsmanship. Gamper says he never draws a sketch when making artworks. He does what his hands tell him to do. The complex structure of his works shows the artist’s background of sculpture at the Academy of Fine Arts in Vienna, before completing a master’s degree at the Royal College of Arts in London. Though a celebrated furniture designer, the artist is open to mass production, unlike many of his peers. He has created works for mass production for European companies such as Magis and Established & Sons. Gamper currently runs a design studio and workshop in London. He engages in a wide variety of projects, including exhibition design, interior design and one-off commissions.